The Journal is dedicated to building a platform for academicians, market players and those who interested in Islamic economics and finance studies to share, discuss, evaluate and distribute their work and opinions. 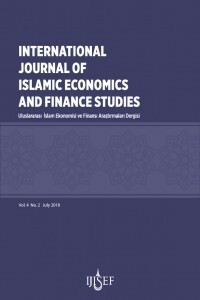 International Journal of Islamic Economics and Finance Studies (IJISEF) is an international, academic, periodical and double blind peer-reviewed journal published by Centre of Political Economic and Social Research (PESA) in collaboration with Research Center for Islamic Economics and Finance (RECISEF). This work is licensed under a Creative CommonsAttribution-NonCommercial-ShareAlike 4.0 International License.